Shoot! Me too. So here goes the first smoke of November: MacBaren HH Old Dark Fired Ready Rubbed in a Peterson Antique Collection bent brandy/billiard for breakfast. Strong coffee on the side. HOTW in a Northern Briars. just did the dishes and now I'm smoking the latest mix in a Peterson Killarney 155 Made in Ireland. To increase the Latakia content of the latest mix, I've put in the rest of the Red Repparee, but the outcome seems to bring forward the Oriental aspect rather the the Latakia, so there is now even less of the sweetness/floweryness that I get from a low but noticable amount of Latakia. The Adventures of the Homebrew... very rewarding when it works as planned, but annoying when it doesn't. I might just let this settle for a day or two and smoke something else. The too light St Bruno, for example, that I found wanting when I smoked the first package in May has been a reliably pleasant smoke out of the second package, just with half a year more in it. Good Morning, Gentlemen! This first day of November has started out at 47°F/8.3°C, it's raining, and the workshop heater is on keeping the place comfortable. My wife had I had plans to run some errands but, thankfully, the granddaughter needs a ride to a Dr.'s appointment, so my wife will bring her and I'll get to stay home and loaf. Today is a Stanwell Smokin' Day and I'll be rotating between the Stanwell "Silver Mount" and the Rockbass "Nordic". Now smoking a bowl of Solani #633 in the blasted billiard, a first mug of coffee is on the side. I had to rehydrate my cache of C&D Yale Mixture with a rehumidifying coin. This experience confirmed what needed no confirmation: only mason jars are good for jarring pipe tobacco. The plastic bailtop in which I got this YM was not good for the long or even medium term, despite the manufacturer's promise of a secure, air-proof seal. So, done. The Yale is now springy again. So, for my first smoke of bleak November, my pipe glows with a slower ember, smoking some Yale Mixture in a pipe I've named Lenore, nameless here for evermore. 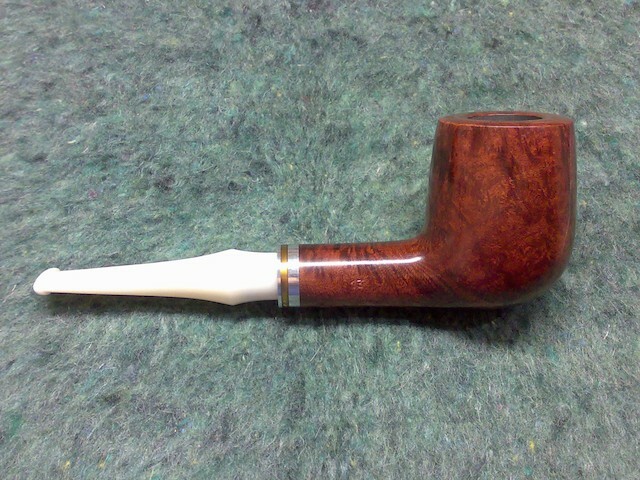 After breakfast of course, in the Kaywoodie Custom Grain Smooth Billiard 07 (1960-1971). 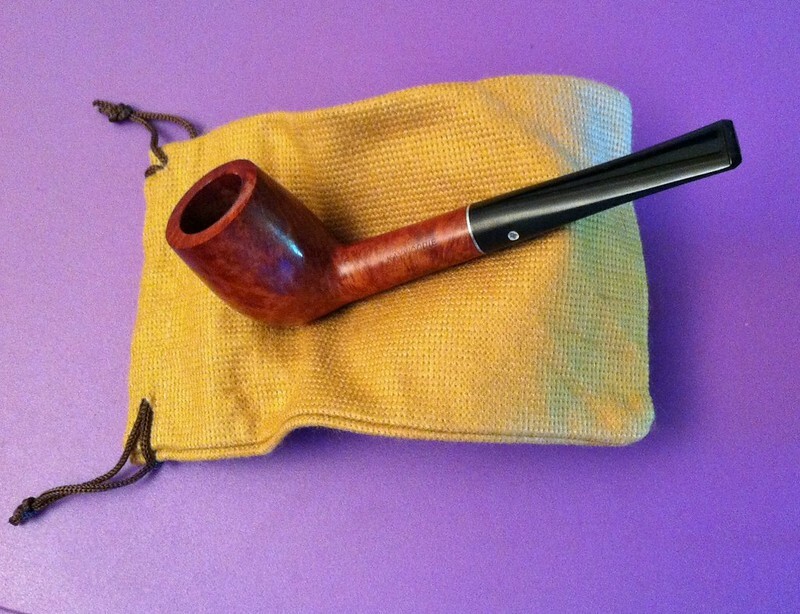 GH Brown u/s in a Savinelli.